To strengthen skill development activities and skill infrastructure in the State, the government has approved Rs. 640 crore ADB External Assistance Project for supporting skill development. Skill Development Policy Him Kaushal-2016 has been approved by the State Government to empower the unemployed youth between the age group of 15 to 45 years. The Policy envisages enhancing learning and employment opportunities of the targeted groups to strengthen the economic growth of the State and bridge the gap of skill deficit between the State and National level. The State Government has also established Himachal Pradesh Kaushal Vikas Nigam, which would act as overarching body for implementation of the skill development policy and programmes. The Nigam would endeavour to achieve uniformity of qualifications, standards, training tools, accreditation for the State in alignment with national standards. Training would be provided by the Government institutes and departments, private sector and industries/industrial associations. 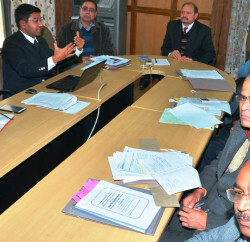 Multipurpose training and marketing centres would be developed in rural areas at ITIs in phased manner and would be aligned as per the needs of local youth. These centres would operate in a Hub and Spoke Model with each centre and would be monitored by District Skill Development Centre. In order to facilitate ITI students, equivalency would be granted in respect of qualification of National Trade Certificate and National Apprenticeship certification being awarded by NCVT, Government of India to that of senior secondary i.e. 10 plus two level, for the purpose of seeking admission in colleges. With an aim to improve employability of students, vocational education in trades like automobile, retail, security, ITeS, healthcare, tourism and agriculture from 9th to 12th classes had been started from 2014-15. Focus would be on addressing the needs and requirements of manpower in agriculture, horticulture, tourism and hospitality, construction, IT enabled services, banking and financial services. H.P. Kaushal Vikas Nigam would work out skill gaps at local level; identify new job roles, potential opportunities, modality of introduction of innovative technologies, engagement with private sector, introduction of pilot project and strategy to reach out to remote areas. Special emphasis would be given to local skills which are being carried forward by generations of artisans, weavers and artists. 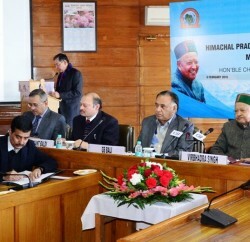 Creation of master trainers, entrepreneurship and self help groups to display, market, innovate, scale up operations, finance will be provided to Himachali paintings, metal crafts, shawls, carpets, wood craft carvings, embroidery, foot wear, leather crafts, blankets and rugs, woolen caps, muffler and knitwear. All the existing employment exchanges would be upgraded into model career centres for counseling and vocational guidance. Mapping of existing facilities of government ITIs and polytechnics would be undertaken. The State Government is also planning to start demand driven and employment oriented trades in existing government ITIs which would increase students intake by 2500 per year. The objective of skill development training programmes is to ensure that no person is left out of the training because of financial constraints. The programmes would be accessible to all residents of the State between the age of 16 to 49 years both BPL and APL in urban and rural areas. Guidance and counseling would also be provided to people with educational qualifications like 5th and 8th pass to improve earning levels.